I have known Rob Meo for over a decade and he is by far one of the most driven individuals that I have ever met. In this episode, we explore Rob’s personal background and how his humble beginnings have made him who he is today. If you’re looking for a little inspiration, listen as Rob shares his aspirations for making the world a better place and his belief that anything is possible. 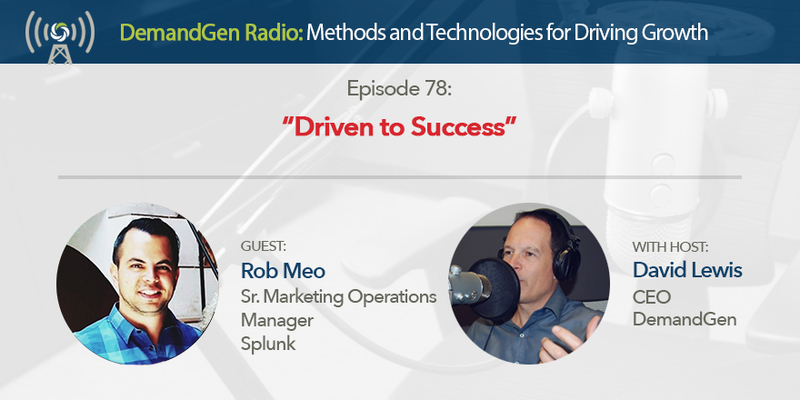 We also talk about what it takes to be driven, discuss what makes a great leader, and even touch on the current state of the marketing technology industry.